What if loyalty 2.0 were rewarded? 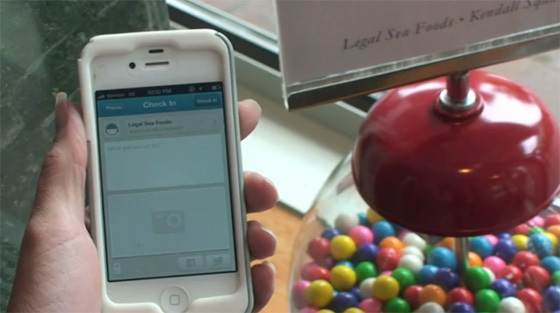 Spotted by @caroline_vk on @maximedelmas‘s blog (click here) is an amazingly simple idea for a chain of US restaurants called Legal Sea Food: a bubblegum machine automatically dispenses a freebie for every check in. Potentially addictive! To see the video, click here.